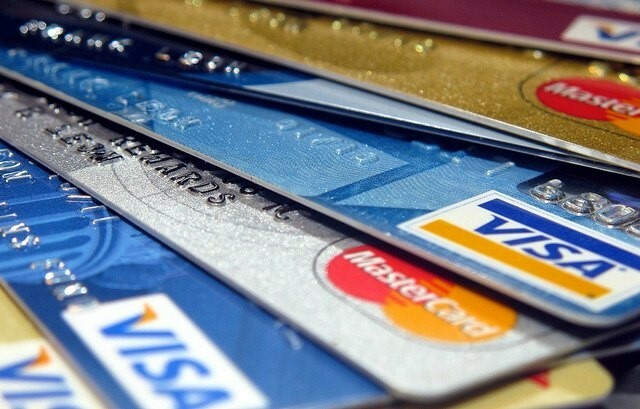 Why Credit Cards Are Your New Best Friends? There’s much more to that small, pocket-friendly, plastic card than what just meets the eye. It’s not just an eye candy or your child’s shiny new toy- it’s a symbol of status. When luxury is infused with power, a credit card is born. Rightly going by the name, a credit card allows you to borrow money from a bank on credit in order to makes purchases. Banks create a revolving account and grant a line of credit to the cardholder, within which he is permitted to transact. The bank permits the card holder to make purchases on credit and reimburse the amount within 25-30 days. Usually, for smooth functioning and systematic operations, a monthly bill is sent to settle the dues, failing which, a very high amount of interest is charged. In the present scenario, credit cards have picked up pace due to the spectrum of internet. Technology has cut down on long queues and endless paperwork and given banking a new way of life. Applying for credit cards online has been the simplest way to get your hands onto happiness. For old times’ sake, the option of adhering to the traditional method of applying for a credit card with an application to your banker is also available. And while you’re still contemplating on whether to own a credit card or not, read on; we hope to get you sorted. Tangible dreams are just a swipe away. Credit card is a widely accepted medium of payment worldwide. The security of cash on hand is not an issue. So, whether you’re going to the mall next door or to another geographic location, carrying your credit card with you means having the world in a wallet. Whether you’re buying a packet of chips or a diamond ring for your wife, credit cards can buy almost anything. From the smallest to the biggest, your best friend takes care of it all. Most credit card companies offer incentive programmes and attractive rewards to their customers for the amount of purchases/ transactions made. From frequent flier miles to automobiles, there is something for everyone. Controlled use of a credit card can help you establish credit for the first time and rebuild credit if you’ve previously had problems – as long as you do no exceed your line of credit and clear off all bills on time. The biggest beneficiaries of the credit card revolution in India are the lower and the middle class. While the rich do not depend on the card, the ones below them on India’s wealth pyramid do. Buying extra groceries for guests who are coming or paying for medicines at 1 a.m. when no ATM is in sight, the card has helped in times of emergencies. This feeling has encouraged many people to buy things that they could never afford. Jewellery, dinner at a fancy restaurant, or that toy for their kid. From routine expenditures to improving social standing, the credit card has helped Indians develop.